If you've been reading my blog for a while, you know I love using vitamin c serums. Vitamin C is great for your skin especially if you're needing to lighten sun or age spots or dark ender-eye circles. Vitamin C also protects against and heals UV damage and pollutants your skin is exposed to on a daily basis. 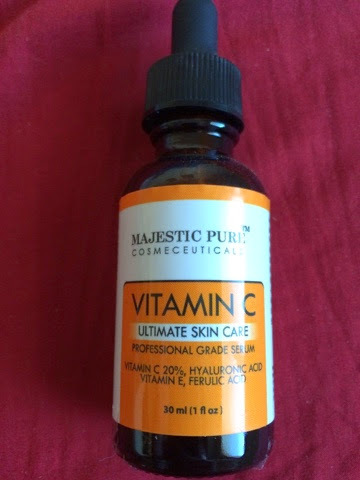 I recently tried the Majestic Pure Vitamin C serum, which also includes hyaluronic acid, vitamin e, and feruic acid. I found this serum not only helped lighten darken spots on my face, but brighten my appearance overall as well. It is a great option if you are looking to try a vitamin c serum in your skincare routine. You can find the Majestic Pure Vitamin C serum on Amazon.